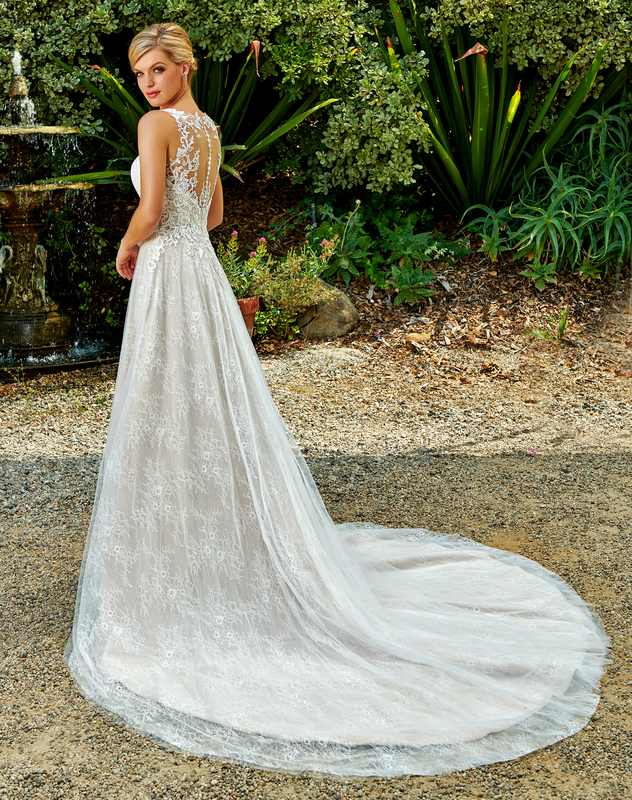 A completely bespoke design, this layered lace wedding dress with plunging V-neckline from our cherie collection is oh-so dreamy. A high neckline with an organic-lace finish perfectly complements the plunging V-neckline of this bodice. Layers of cotton-style lace and French lace come together to create a soft, unique look that continues through the bodice and onto the skirt. Large, lace motifs adorn the back of the skirt, which extends into a long, frothy train.